I know it is obnoxious to hear someone brag about their children so consider this post mostly for the grandparents and just skip it. Luke read the book The Life of Pi and loved it. Isabel's baton teacher's pulled me aside to ask me if she would want to compete because she is terrific. Sylvia is definitely a smarty and is good at many things, but I am most impressed with how entertaining she is. When Sylvia wanted to play a game with Isabel, Isabel suggested she put some clothes on first (Sylvia was stark naked of course) Sylvia's solution, "Just pretend like I'm wearing clothes!" 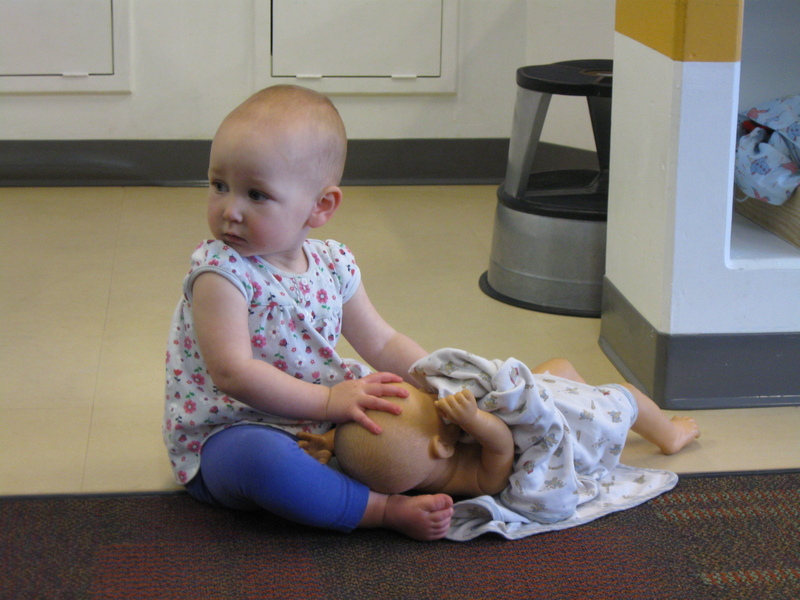 Hazel, well, we went to the Children's museum today and she protected her baby again. Oh! 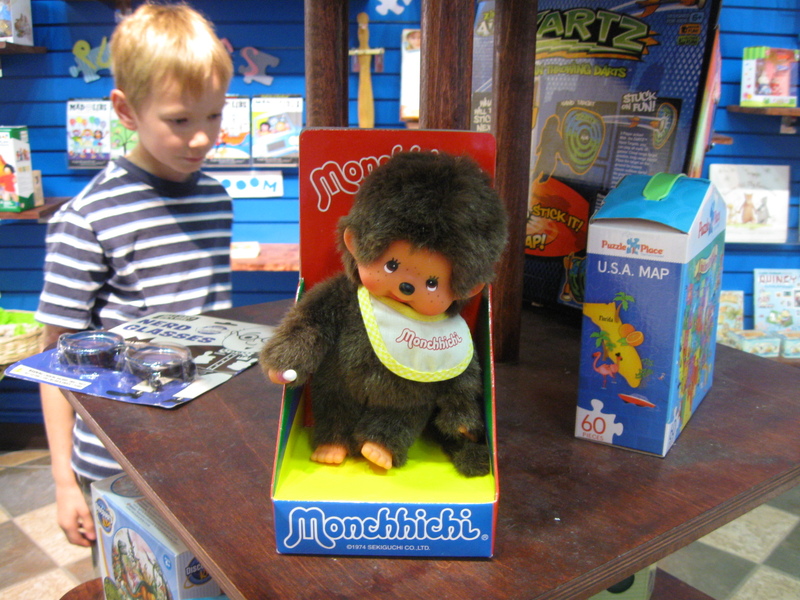 Remember how Hazel is a Monchhichi?! Look what I found at the Children's museum!!! Did I Just Call the Bible Obnoxious?